BILLINGS, Mont. - A new study suggests some livestock grazing can benefit a ground-dwelling bird that's suffered a dramatic population decline across its 11-state range in the U.S. West. Grazing on land occupied by greater sage grouse has been frequently cited as a reason for the bird's decline, along with disease, oil and gas drilling and other factors. 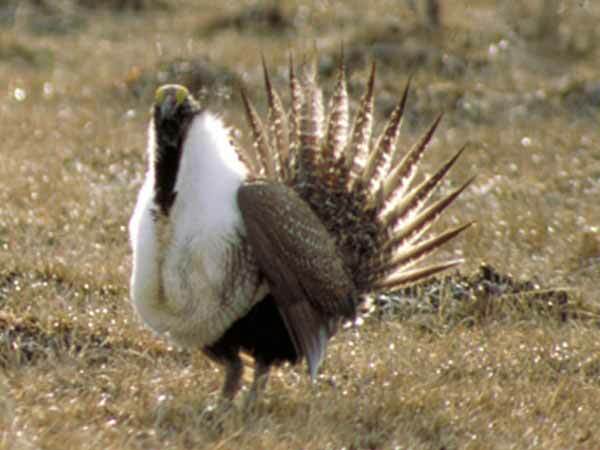 But researchers now say that grazing late in the season can actually help sage grouse. That's in part because late-season grazing leaves in place for longer the grasses and other vegetation that sage grouse nest in. Late-season grazing also can stimulate the growth of vegetation that sage grouse eat. The findings by scientists from the U.S. Geological Survey, Colorado State University and Utah State University were published in the scientific journal Ecological Applications.